Over the years, MINI has proven there really is a MINI for each and every one of us. From roadsters to AWD crossovers, right back to the classic 3-door hatchback, the variations of Coopers on the road is proof that MINI listens to its customers and wants everyone to have as much fun on the road as they can, no matter what stage of life they happen to be in. Redesigned in 2016, the MINI Cooper Clubman is an alternative wagon that’s equal parts practical and sporty, while all-the-way MINI and every bit as much fun to drive as its slightly smaller hatchback brethren. Featuring a wider, longer and lower body, the MINI Clubman is as MINI as it ever was while offering up more interior space for both passengers and cargo. And while this latest version did away with the rear suicide passenger door, it kept the iconic barn-door openings in the rear. 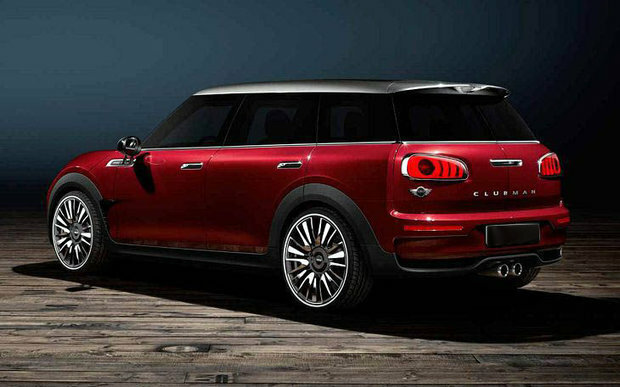 Both practical and cool, these barn doors set the MINI Cooper Clubman apart from your regular station wagon in the best way possible. Behind the iconic MINI grin up front reside two engine choices with either the Cooper or Cooper S versions. In the base Cooper Clubman you’ll find a 3-cylinder TwinPower turbocharged mill that produces 134 horsepower and 162 lb-ft of torque. 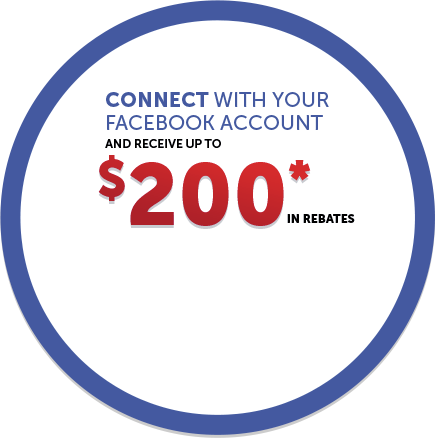 Opt for the Cooper S and the engine changes to a 4-cylinder TwinPower turbo that’s good for 189 horsepower and 207 lb-ft of torque. Regardless of engine and trim level, you’ll find BMW’s ALL4 all-wheel drive system in the MINI Clubman. And the Clubman comes standard with a 6-speed manual, but an 8-speed automatic is an option. The drive of the MINI Clubman is decidedly as MINI as any other model, with the wheels pushed to all four corners and dynamism in full swing in all drive modes, Normal, Sport or Eco. Inside the 2018 MINI Clubman you’ll find space for 5 and all the design and high-quality you’d expect from a MINI product. Ambient mood lighting is still available, as is the centre-mounted rounded entertainment screen and colour-coated RPM gauge that outlines the centre stack screen. The centre-mounted speedometer no longer exists, as it’s been moved behind the steering wheel like a standard car, however, the jet-fighter-like starter switch remains to start and stop the engine. Whether you’re a young professional, single, married, just starting a family, living in the city or the suburbs, the 2018 MINI Cooper Clubman is sure to fit your lifestyle, and with standard all-wheel drive that also means it will perform through all manner of weather and conditions. 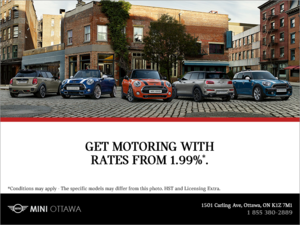 To find out more about the 2018 MINI Cooper Clubman, head down to your local MINI Ottawa dealer to speak to one of our experts, and don’t forget to book a test drive, too.